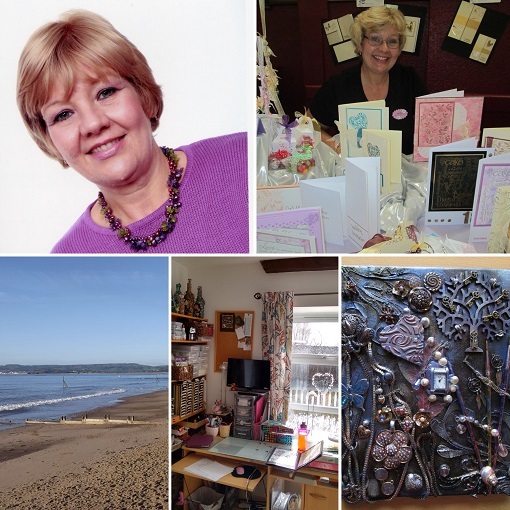 I live in sunny Exmouth, Devon which not only has a stunning4 mile beach but beautiful scenery & nature at the estuary where the river Exe meets the sea. 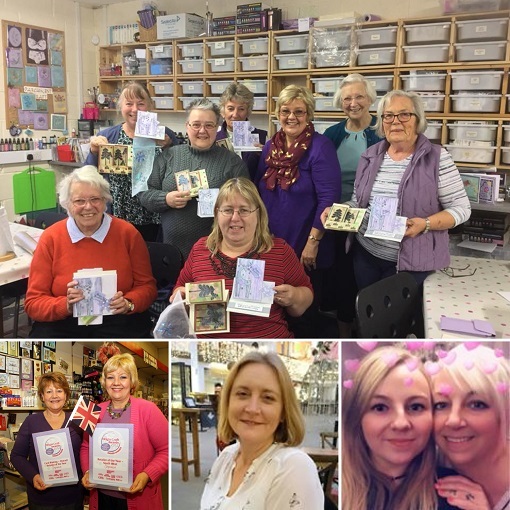 I have been a crafter for as long as I can remember but got more interested in card making when I got a job in the local craft shop (Japonica- sadly no longer open!). I then went on to win a couple of competitions in craft magazines, was a DT member for the Woodware blog & was finally approached by Stix2 to become one of their demonstrators. The rest is history! Anything messy & mixed media with lots of texture,colour & different techniques especially canvases! Overlooking my garden but don’t too too closely at the mess! 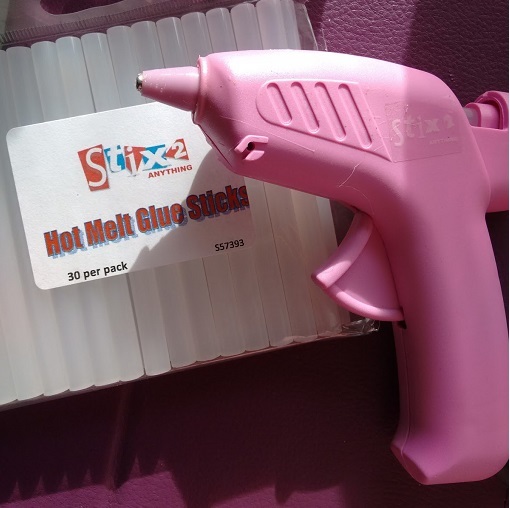 My trusty Stix2 Hot Melt glue gun! Always on my desk & useful for all kinds of craft techniques not to mention household repairs. Of course I count all those associated with Stix2 as my creative friends but we all have special ones don’t we? I feel privileged to count this fine trio of ladies as my close crafty friends. My craft bestie Jan Caudrelier – that’s us with the award for Best Craft Retailer in 2014 awarded to Japonica at the NEC.